I just finished reading All The Presidents’Gardens which gave me a whole new perspective on Fourth of July celebrations. Our views of our presidents sometimes take the form of some character defining story, like young George Washington and his cherry tree, or singular achievement like Thomas Jefferson and the Louisiana Purchase or Franklin Roosevelt and the New Deal. 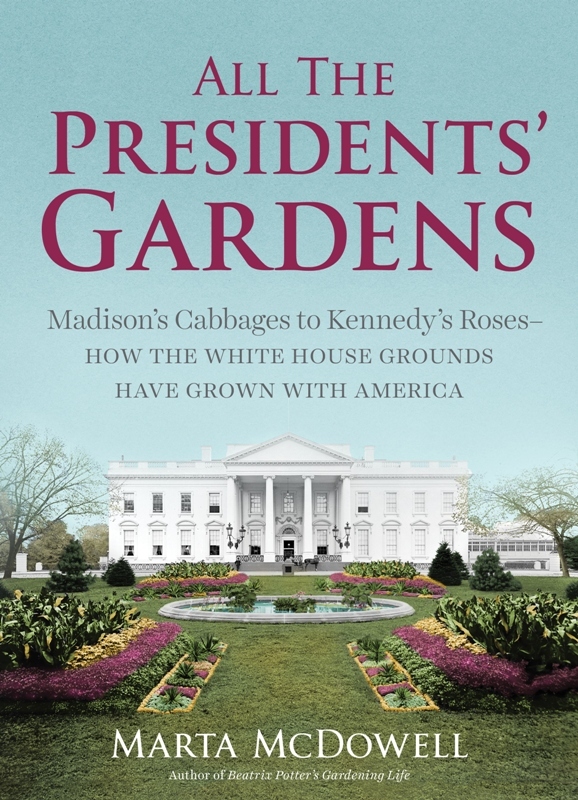 In All The President’s Gardens: Madison’s Cabbages to Kennedy’s Roses – How the White House Grounds Have Grown With America Marta McDowell gives us an engaging history of changes in our nation through the history of the White House Gardens. It all begins, of course, with George Washington who never planted a garden for the White House because it did not exist when he took office. However, it was President Washington who signed an agreement, after contentious discussions, brokered by Thomas Jefferson and James Madison that named a ten acre site on the Potomac as the new capital city. Washington also appointed the architect Pierre L’Enfant to design the new city, and he himself chose the site for the White House on a rise with expansive views. Unhappily, Washington died before the White House was built or gardens planted. Washington and Jefferson had their country estates and a passion for plants. John Adams was a farmer and he was the first to occupy an unfinished White House, and that was near the end of his term of office. He was defeated in a bitter race by Jefferson who spent most of his two terms concentrating on new buildings for the capital, and larger landscapes than those surrounding the still unfinished White House. When James Madison took office the White House grounds were described as muddy, “disgusting scenes.” Madison began planting and the oldest plant list for the executive mansion is dated March 31, 1809. Flowering shrubs and trees, pines, hollies, lilacs and roses were ordered and planted along with a substantial list of vegetables for the president’s table. Some of those vegetables might have been bought from the Shakers (United Society of Believers in Christ’s Second Coming) who were making a good business of raising seed and marketing it in seed packets, a technique they invented. Things were beginning to shape up when the British burned the president’s house and destroyed the gardens in 1814. John Quincy Adams found his single term as president so trying that he turned to the gardens for respite. He worked with John Ousley, the new head gardener, and found a place where he could please himself, not the demands of the political world. McDowell gives full credit to the head gardeners with a special section titled First Gardeners from Thomas Magraw who served under James Madison, and John Ousley who served from 1825-1852. John Watt served under Lincoln and it was he who fudged his books to help Mrs. Lincoln who always spent way beyond her allowed dress budget. 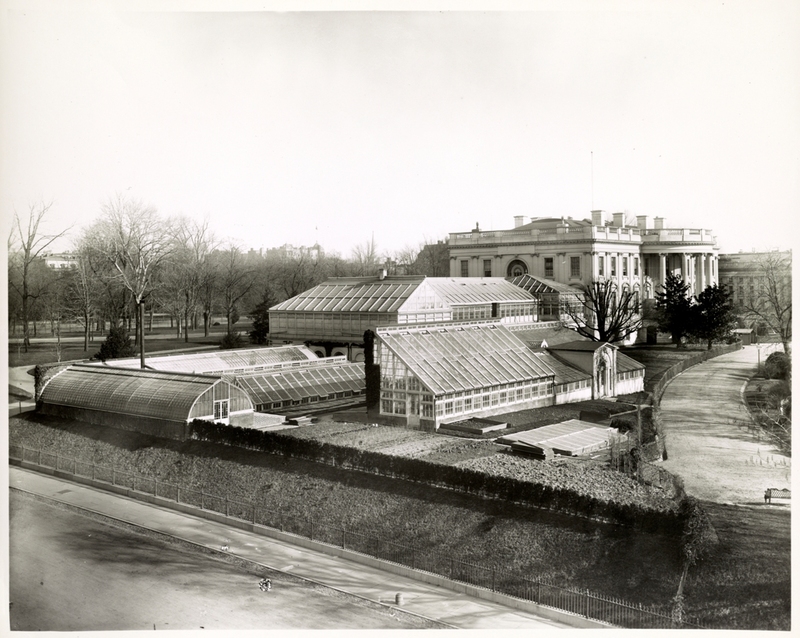 Henry Pfister was another head gardener who worked for a quarter century, caring for the great greenhouses that provided flowers for White House arrangements, for Grover Cleveland’s wedding to Frances Folsom, and provided a beautiful welcoming space for Ida McKinley who suffered from epilepsy. So many stories. Teddy Roosevelt brought his rambunctious family and their pets including Peter Rabbit who earned a state funeral in the garden. It was Helen Taft who supported the plantings of Japanese cherry trees along the tidal basin – a project that took time and great cooperation with Japan to bring the project to fruition. The White House gardens did their bit during the World Wars. 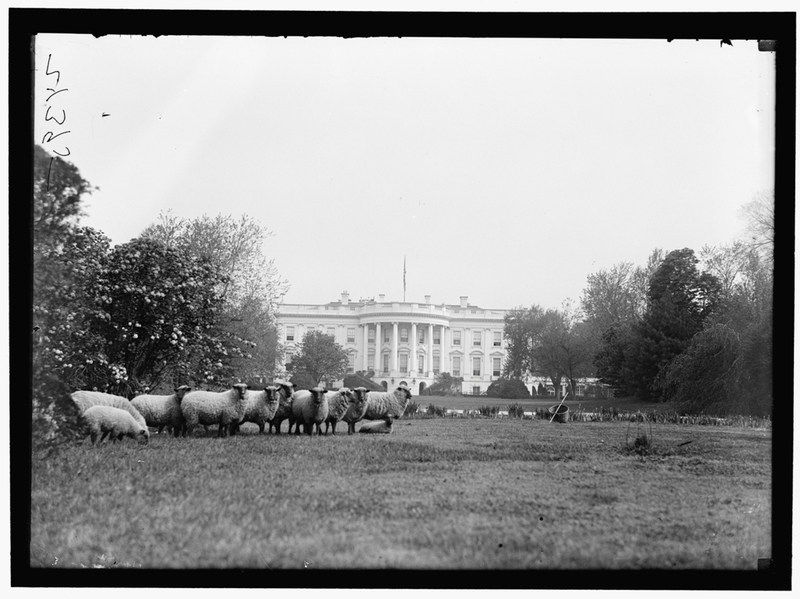 Gardener William Reeves was gardener-shepherd to Wilson’s flock of sheep on the White House Lawns. A victory garden took the place of sections of lawn during WWII. Harry Truman watched while rolls and rolls of sod were laid out around a cherry tree in full bloom that was planted in preparation for the arrival of the Queen of the Netherlands. Eisenhower put in a putting green and arranged to have helicopters land on the South Lawn. Many of us may have our own memories of The Rose Garden being installed by President Kennedy in 1962, or President Carter bringing trees from his Georgia farm. Michelle Obama put her stamp on the garden in 2009 by making a food garden that includes varieties from Jefferson’s garden at Monticello. This garden was intended as a demonstration garden that would help teach children about healthy eating. School children came to work in the garden to gain an understanding of the food they ate. Bees were added to the garden as well as a pollinator bed. All of it makes a great teaching garden. In addition to the excellent section on First Gardeners, McDowell gives us an extensive list of plants grown in the gardens. My own mantra about gardens (and life) is that Everything Changes. This engaging book gives us the history behind the changes in the White House gardens, and perhaps makes us wonder what changes will come in the future. 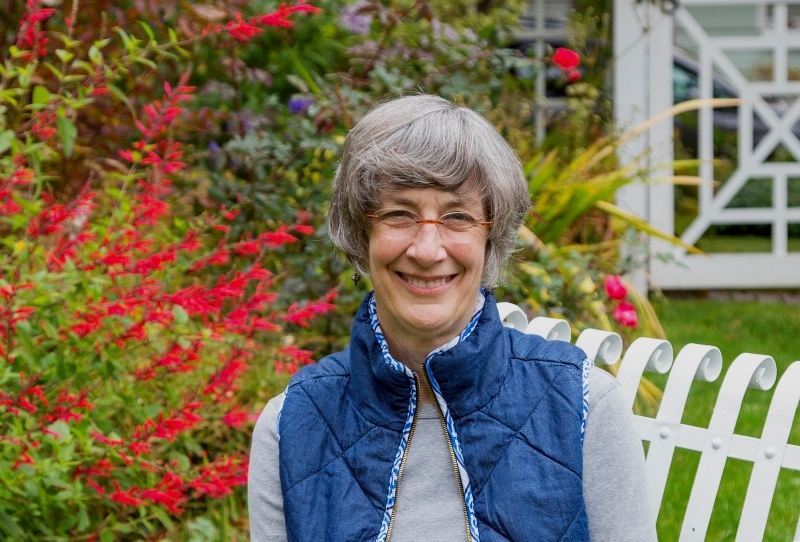 In this year with its own extraordinary presidential campaign, I want to stress that All The President’s Gardens is not about politics but a history of garden styles, trends, and needs of the White House, reflecting the styles and tenor of the times told in a charming conversational way. Funny that you mentioned Michelle’s garden. I was wondering if it would be carried on after the Obamas leave office. It will be interesting to see how the White House gardens evolve. This sounds like a very intriguing book. I wonder if Hillary would continue the Obama’s garden – I suspect so. Trump’s garden would have a big sign that says TRUMP and a casino. gardeninacity – It is a good book, informational and charming. 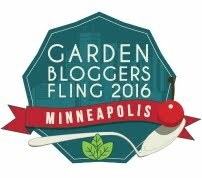 I’m hoping for no casinos in the president’s garden. Ever.